The team at South Lakewood Dental works hard to ensure that patients are getting the right dental care to improve their oral health and wellness. This includes avoiding the use of materials that may be harmful to overall health. Studies continually show the dangers of using silver amalgam fillings in the smile. These dark, metal fillings are formulated with mercury which is an unsafe and toxic material for the human body. Our Lakewood, Colorado dentist, Dr. Scott Stewart, is proud to offer not only mercury-free filling options, but also mercury safe removal. What is mercury safe removal? 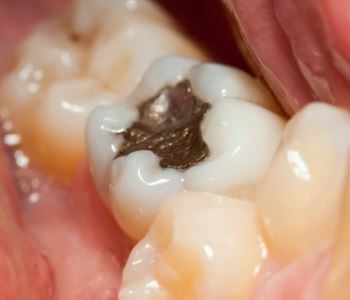 Silver amalgam fillings release mercury vapor that can result in mercury toxicity. 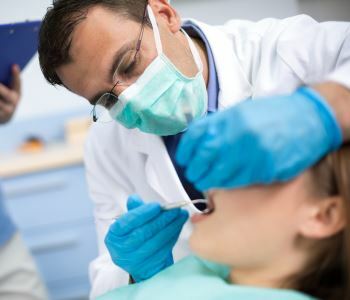 While dentists have used these fillings for years, and some continue to use these materials, the team at South Lakewood Dental encourages patients to avoid filling their cavities with silver amalgam. With the use of alternatives such as composite resin, not only are patients not at risk for toxicity, but they can enjoy the benefits of a more aesthetic solution. Mercury safe removal utilizes a specific protocol to ensure the safety of everyone involved during the removal procedure. 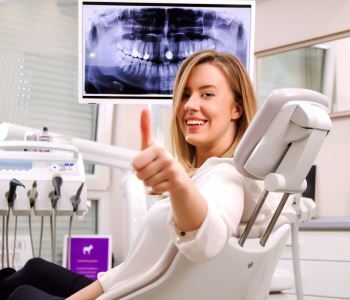 Because mercury vapor is released with friction and heat, it is essential that a dentist takes great care to ensure this does not occur, as it can affect not only the patients but also the staff. Dr. Scott Stewart is a member of the IAOMT, International Academy of Oral Medicine and Toxicology, which has developed a certain set of standards for members to follow to be considered a mercury safe practice. Mercury fillings are removed with great care. Does silver amalgam filling removal hurt? Patients are sedated and anesthetized during their procedure to ensure that they are comfortable throughout. We want our patients to have a positive experience each time they visit our practice. Patients with severe dental anxieties or fears of pain are welcome to consult with our team about their upcoming mercury removal appointment and discuss ways in which we can make them more at ease about their visit. Composite resin fillings have several benefits for our patients to consider. Composite resin fillings are the same color as natural tooth enamel, so the repairs performed with this material are practically indistinguishable in the smile. Composite resin fillings do not expand and contract to temperature changes in the way metal fillings do, which reduces the chance of bacteria entering the inside of the tooth and resulting in an infection of the dental pulp. Composite resin fillings are safe and do not put patients at risk for mercury exposure. Should I have my mercury fillings removed and replaced? Any patient who wants to ensure they are having holistic treatments performed on their smile, and want to improve their overall health, can discuss with Dr. Scott Stewart the possibility of having their silver amalgam fillings removed in a holistic, mercury safe practice. Interested in learning more about silver amalgam filling removal? Dr. Scott Stewart is proud to provide patients with solutions for their smiles that can protect their overall health while also addressing aesthetic imperfections. If you are ready to have your silver amalgam fillings removed and replaced with cosmetic solutions such as composite resin, we encourage you to book an appointment with the team at South Lakewood Dental in Lakewood, Colorado. This practice serves patients not only in Lakewood, but also in the areas of Denver and Wheat Ridge. Contact the friendly front office team to schedule an appointment by calling (855) 233-0023 and visiting the practice conveniently located in Suite 11 at 2525 South Wadsworth Boulevard.